Trauma-informed practices are not necessarily incorporated into the medical settings where children access care. 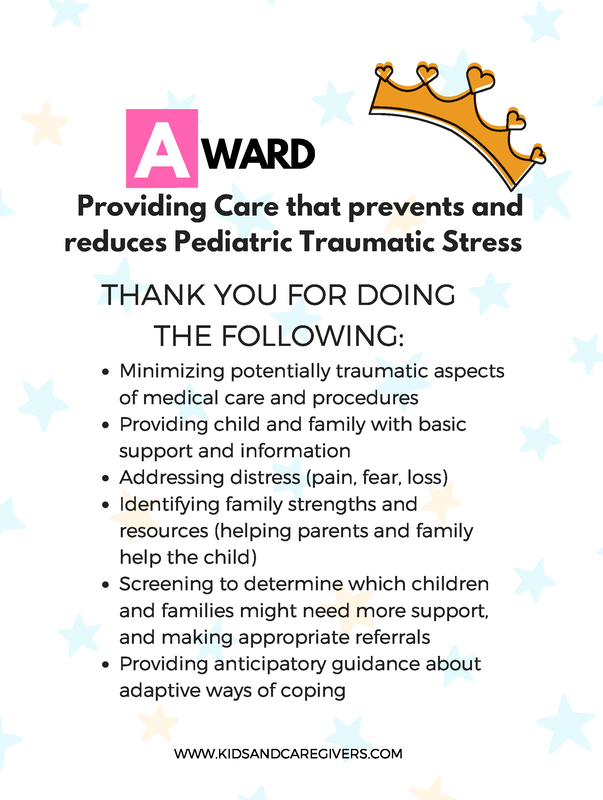 Providing trauma-informed pediatric care means that healthcare professionals bring a basic understanding of these key points about traumatic stress into their encounters with children and families. Trauma-informed care can promote optimal health outcomes and reduce problematic psychological sequelae. Since its not in place - caregivers, patients, and providers can advocate and educate their peers on how to reduce medical trauma. · Many parts of the experience of illness, injury, and medical treatment have the potential to be traumatic for children of all ages. · Children’s traumatic stress responses to illness and injury can become persistent and problematic. Children may have upsetting thoughts they cannot stop, may try to avoid things that remind them of difficult parts of their experience, and may be irritable or have trouble sleeping. These responses can impact adherence to medical care, health outcomes, and quality of life. · Parents and siblings can also be affected. Some parents become hypervigilant for signs and symptoms the illness has returned or over their child’s safety. Siblings may worry in private about their brother or sister. · Culture can impact each child’s and family’s response to illness, injury, and medical treatment, as well as their response to adversity and trauma. · For pediatric patients, the risk of ongoing traumatic stress reactions is related to perception of life threat, pain, acute emotional distress in the child or parents, and by prior traumatic exposure (i.e. before this medical event). 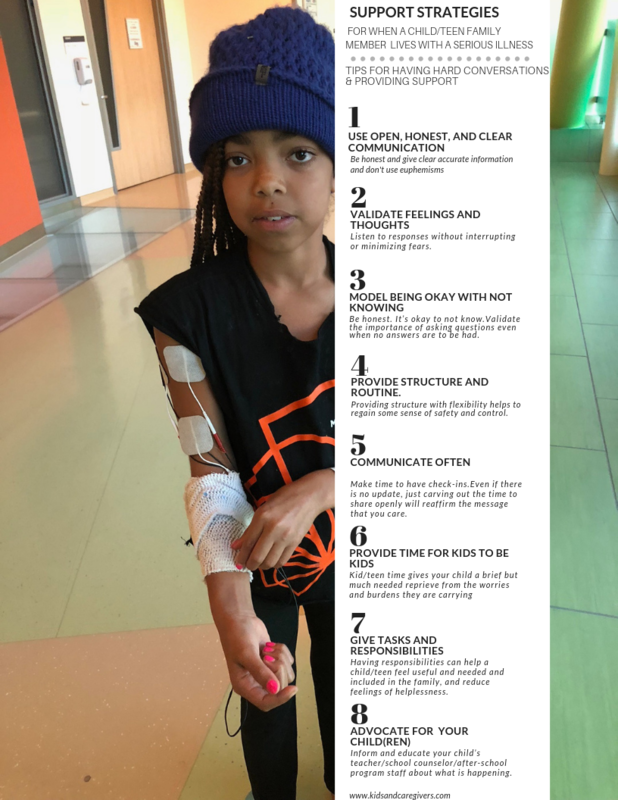 · Many of these risk factors can be modified or influenced during the process of pediatric care. One of the things my daughters' illnesses taught me - was to be the change I wanted to see. So... I started creating the resources I wanted and needed and sharing them with other caregivers. I co-facilitate online parent groups, I mentor families and caregivers, I have providers sending me families for peer coaching, I share best-practices with providers and caregivers, I teach caregiving skills, and I share information - a LOT of information. Its helpful to look at the data that shows that at least one in four of us who are parenting kids with special health needs -will spend at LEAST 11-hours a week in caregiving related tasks. More if we have public insurance or kids with rare or complex diseases. Basically, its a part-time job without a training manual or job description. 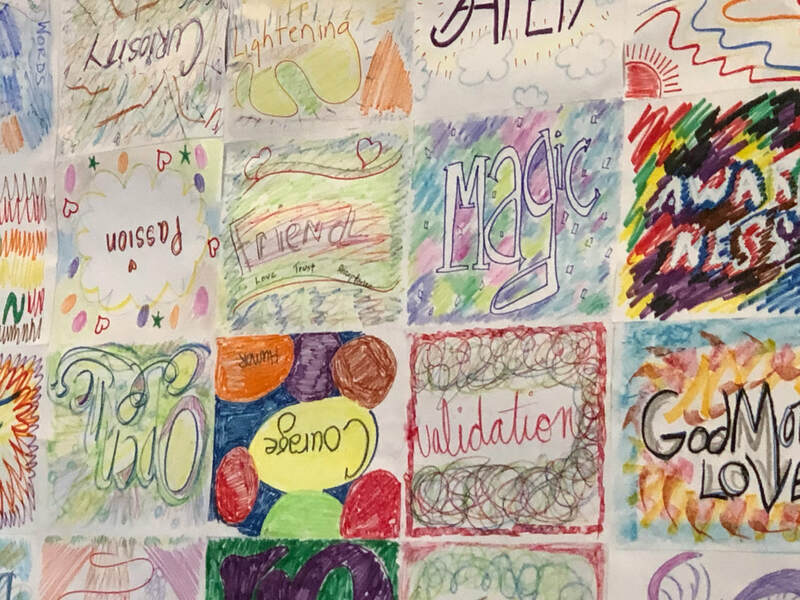 Wellness and what holds it all together - how to connect to networks of care and wellness resources for you, your child, your family, and your community. Its helped me to realize in addition to loving my children and doing all the usual mom-stuff - parenting a child with a chronic illness requires that I learn new skills and put together a toolbox. Keeping the magic of childhood alive during the 'yuck' of "all of this"
Tools for change- binders, calendars, etc. Tools and frameworks for dealing with schools, family, friends, etc.